Why choose the River Wey for your narrowboat holiday? The River Wey is one of Surrey’s best kept secrets. On a narrowboat you’ll appreciate the stunning Surrey landscape from a different angle. Apart from the tranquil meandering river, the views, open spaces and wildlife, you’ll enjoy riverside villages such as Send, Pyrford and Ripley or the larger towns of Godalming, Guildford and Weybridge with their shops, theatres, cinemas and restaurants. You will be surprised at the rural tranquillity of this river, especially when considering that it is at the heart of commuter-land and within sight, at one point of the M25. Historically, this is a fascinating waterway, being one of the first canalised rivers in the country, dating back to 1653. Today the 20 miles of navigable river and it’s 16 locks, are owned and maintained by The National Trust, and their Exhibition Centre at Dapdune Wharf in Guildford is well worth a visit. We offer boat hire from March until the end of October for weekends and midweek, a week or longer allowing you to cruise the River Thames upstream to Windsor or down river to Hampton Court. 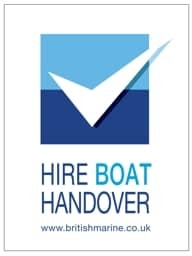 We are a family run hire business, and have been trading here since 2000 although we’ve been working within the boat hire trade on the Wey since 1974. We pride ourselves on our customer service, and being a relatively small company, we prefer not to treat our customers as booking references but as guests to the beautiful River Wey.